Located in the southeast of China close to Shanghai, Yangzhou has a history of 2500 years. 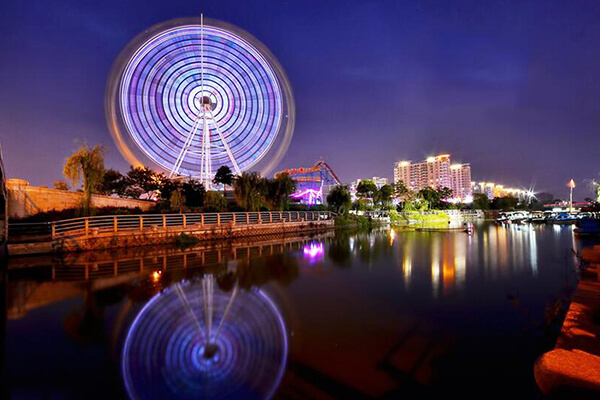 It is the hometown of Yangzhou Fried Rice and was awarded the UN Habitat Scroll of Honor for the beautiful environment, convenient transportation and happy life. Situated in the northern suburbs of Yangzhou,the Slender west lake boasts picturesque scenery,showing the characteristics of the gardens in south and north China.It enjoys a reputation of being the “most beautiful garden on earth”,All the tourist attractions in the garden are scattered on both banks of the exquisite and winding lake,making the garden resemble an unfolded traditional Chinese painting. 2. 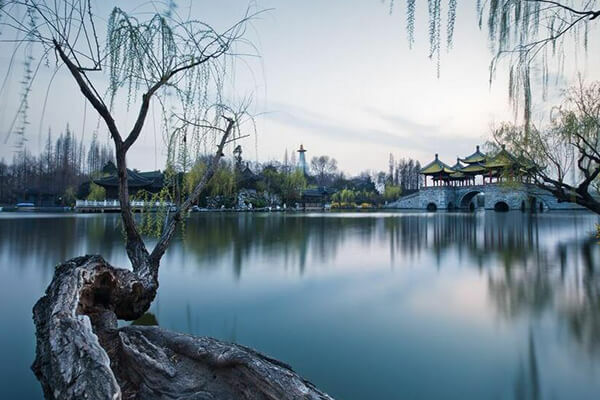 Tourists can take Tour Bus 1, Tour Bus 2, Bus 4, 5, 6, 16, 18 or 22 to get to the Slender West Lake Scenic Spot in Yangzhou. Yangzhou owns the oldest section of the ancient Grand Canal in China, which runs through the city. The Grand Canal in Yangzhou is flanked by many historical sites which depict special local customs and lifestyle. It is a sightseeing zone integrating gardens, tourism culture, leisure, trade and commerce. Taking a boat tour along the Grand Canal, tourists may get a feeling of the true Yangzhou culture, as well as the unique glamour of the waterside city. There are two choices for tourists: regular pleasure boats and charted boats. Tourists can board the ships at the Bianyimen Plaza or Kangshan Culture Garden.